Part 2 – Which Coins to collect? In order to keep these blog posts to a reasonable size, “Part 2 – Which Coins to collect?” may need to become it’s own 5 or 6 part series in the future. 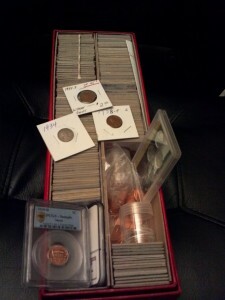 For now it will be an overview of US collectible coins and how to get started. Certainly personal taste, budget, the age of the collector, and time will be a factor for the soon to be serious collector. Here is an example: For my son’s 8th birthday we had a “Treasure Hunt” party and rented a pavilion at a nearby park and hid puzzle pieces around the park; each piece leading to the next clue in the treasure hunt. Each child received a beginner coin collecting kit and some US coins as their share of the Treasure. From that introduction to coin collecting my son has taken a liking to Lincoln Cents and has a growing collection 2 years later. Each Coin Show we attend he searches for the missing Cents to complete his collection, and he looks to find a better grade of Cent for the ones he has collected. For the young collector, The Whitman Coin Expo has a “Kids Korner” and interested boys & girls can search jars of Lincoln Cents to add to their collection. Each participant is also given a Whitman Lincoln Cent Coin Folder to help them get started with their own Collection! If Lincoln Cents don’t catch your attention, perhaps the older Indian Head Cents, or Buffalo Nickels will be to your liking. When I started collecting, around the same time as my son, I decided to collect dimes. It has been a lot of fun trying to get every year of Mercury and Roosevelt dime. There are also older Barber Dimes which can be fairly easy to collect in the lower grades. Franklin Half Dollars, Kennedy Half Dollars, and Liberty Half dollars are popular with several of the Bel Mar Coin Club members. For the serious Collector, with a bigger budget, you might want to collect Silver Dollars. Whatever your tastes, Coin Shows are a great place to find the coins you are looking for. If you cannot find a show near you, or it is too far out on the Calendar, check our Links Page or search for a reputable Coin Dealer near you. Whitman is a great place for Coin Albums, books and other supplies. Our Links Page also lists other resources we have found reliable. Watch for Part 3 or future Posts on Collecting for more detailed information. 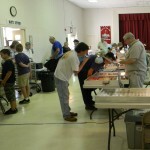 We had a great turnout at the Bel Mar Coin Show in May! Bel Mar Coin Club has 2 Coin Shows per year. One in May and another in October or November. We schedule our shows so as not to be in conflict with larger shows in Baltimore or Pennsylvania. 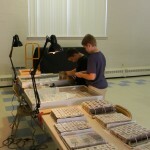 Most Coin Shows have plenty of activities for the kids and for Beginner Collectors. This is the best time to browse tables to see Coin Collections and to speak with the serious Collectors and Coin Dealers who travel the Show Circuit for a living. If you have never been to a Coin Show, subscribe to our blog and watch for upcoming Posts about our next show, or about other shows in the area. You can also visit our Facebook Page to learn more about our Club or about Coin Shows. As I searched the Internet for supporting material for this 5 part series I found a lot of websites and blogs that are just out there to gather the advertising dollars. Not that Ad Dollars are bad, but the articles were overshadowed by the Ads to the point where the visitor doesn’t want to stay on the website long enough to gather the information they were looking for. This is Part 1 of a 5-Part series for Beginner’s who want to start Coin Collecting. The articles will offer some suggestions on how to get started; list some likely places to find supplies; offer a few tips and “Do’s and Don’ts” from personal experience; and offer some helpful advice on how to find the coins you want to collect at prices your budget will allow. *Note: This will not be the perfect Coin Collecting Guide and it will not offer ALL the ways to start collecting coins. These will be suggestions from Bel Mar Coin Club members and will offer tips and tricks they have learned along the way. 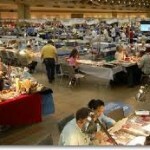 The best way to get started is to visit a Coin Show. If your local area does not offer one of the BIG Whitman Coin Expos, you can search www.CoinShows.com to find a Show near you. The Whitman Shows offer the most comprehensive information and supplies for Collectors, but even Local Coin Shows will have what you need to get started. If you live in a rural area, you may have to travel a good distance to get to a Coin Show, but if you have interest in Collecting Coins, it will be worth the drive to get there! 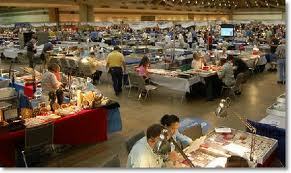 Once you arrive at the Coin Show, be sure to take it ALL in and talk to as many Coin Dealers as you possibly can. Most Coin Dealers are more than willing to share information which will help you get started in Coin Collecting. I am a fairly new (3 years) Coin Collector, and my son and I have attended 3 Whitman Coin Shows and 4 Local Coin Shows, and we have enjoyed each and every one! Click on the underlined hyperlinks within this article to find a Coin Show near you. And remember – if you live near Harford County, Maryland, be sure to visit the next Bel Mar Coin Show!